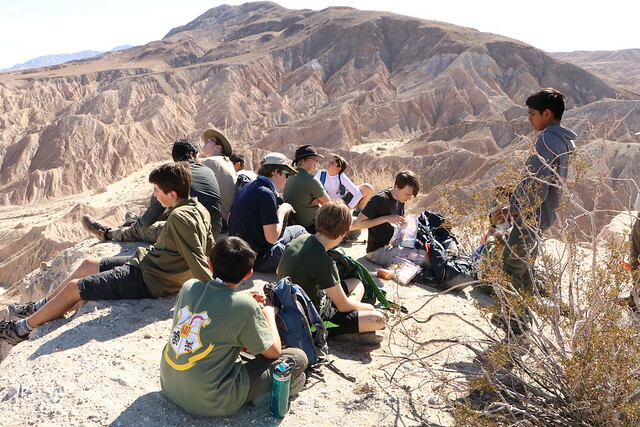 Backpacking campout in the Anza Borrego Desert at Canyon Sin Nombre. After a short night hike in, we camped in the mouth of a slot canyon. The next day we hiked up the canyon and generally enjoyed the desert. On our way home, we stopped at the Desert View Tower at In-Ko-Pah.